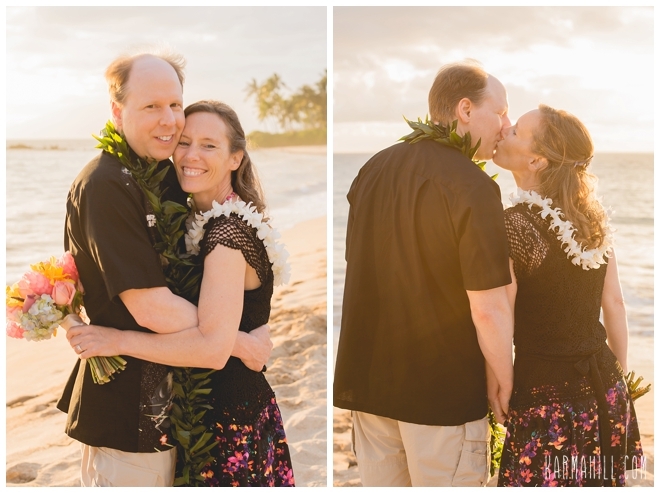 Peter and Cathy are an adventurous couple who started their wedding travels with a trip to Japan before arriving in Maui and then off to Bora Bora for their honeymoon! 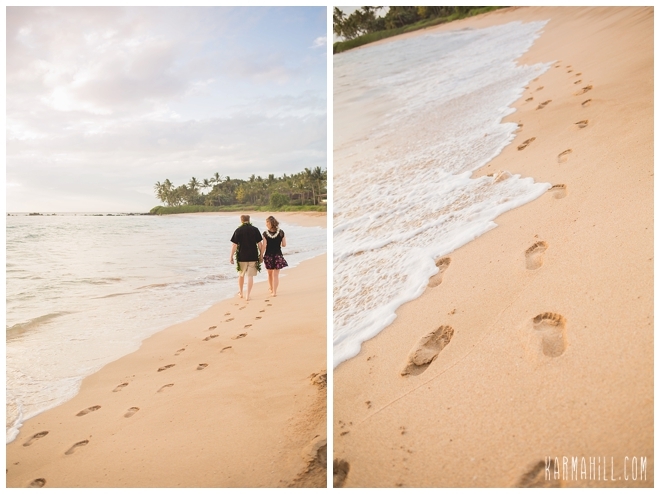 What a wonderful way to start a marriage, exploring and experiencing new places together!! 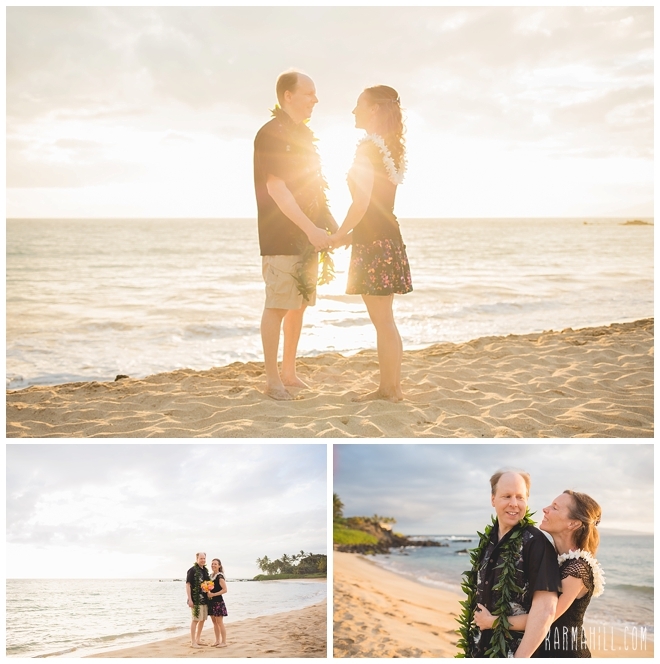 It was an absolutely perfect evening for a wedding for these two lovebirds and Maui did not disappoint with a gorgeous sunset. 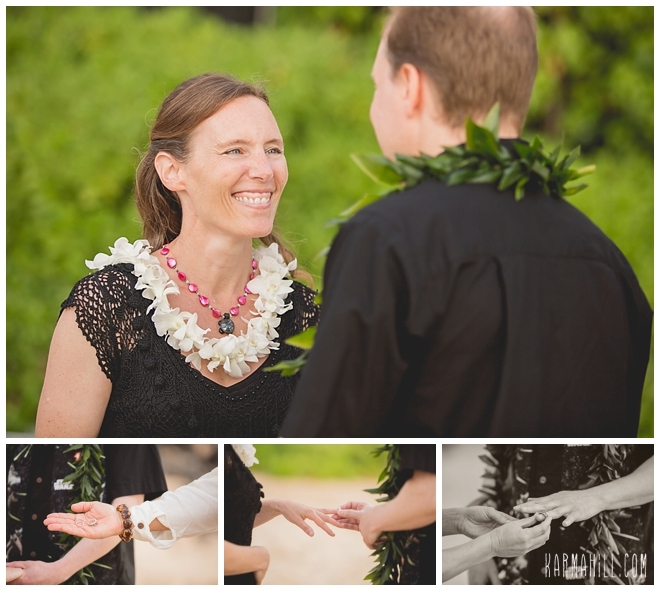 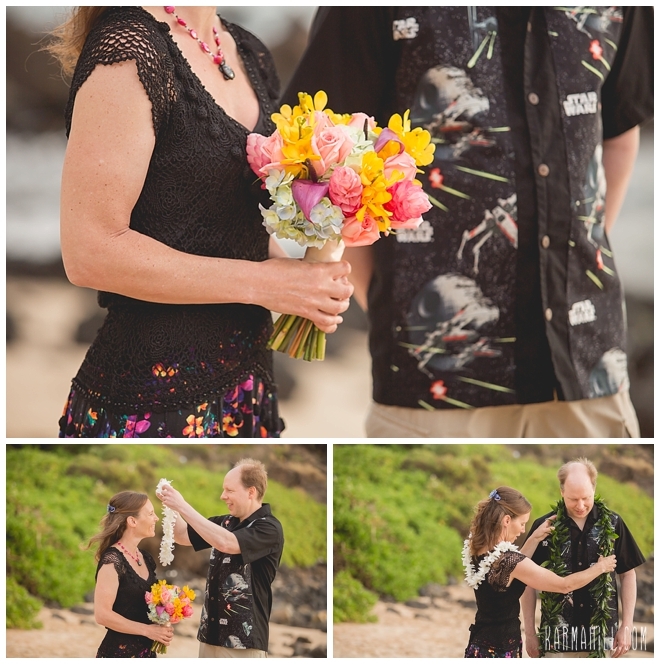 We loved the fun personalized rings and tikis that really incorporated the fact that they were married in Maui! 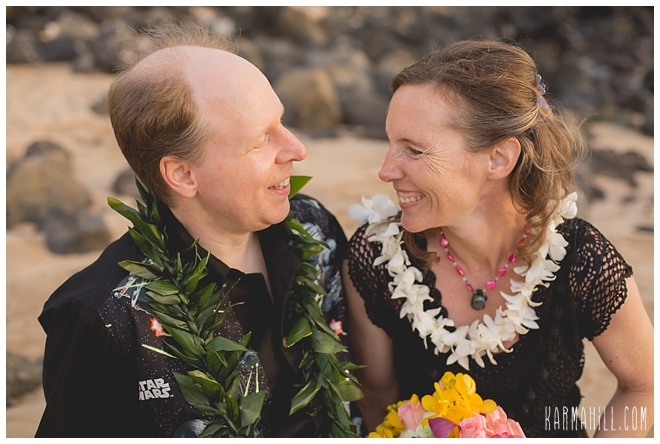 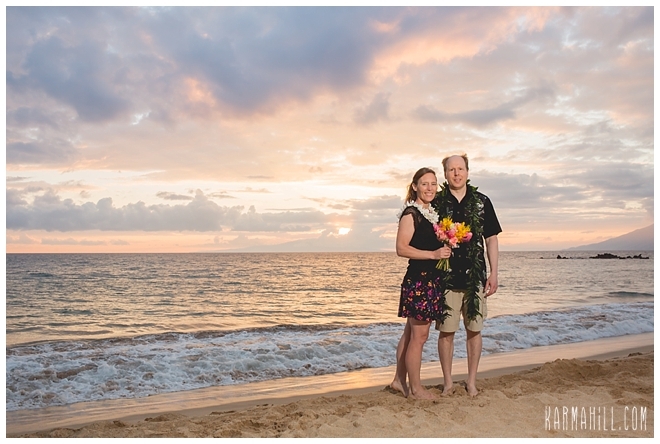 Mahalo Peter and Cathy, we wish you many years of adventure and fun together!! 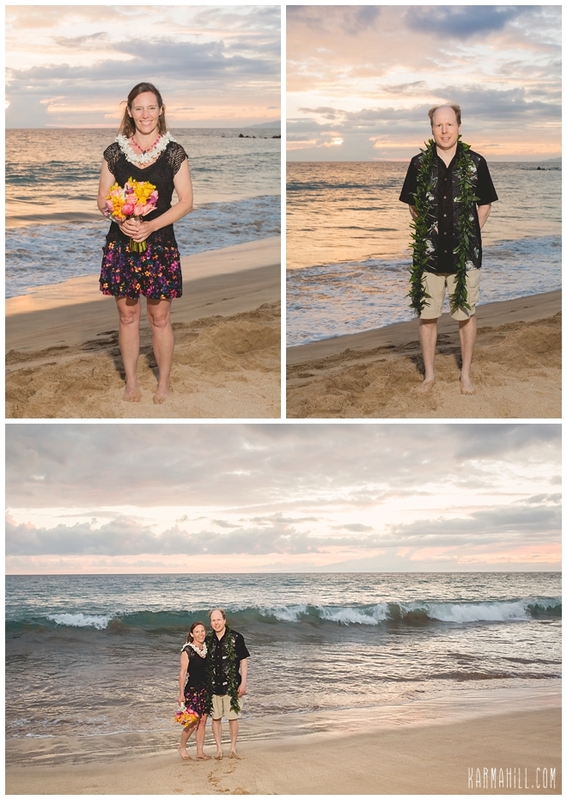 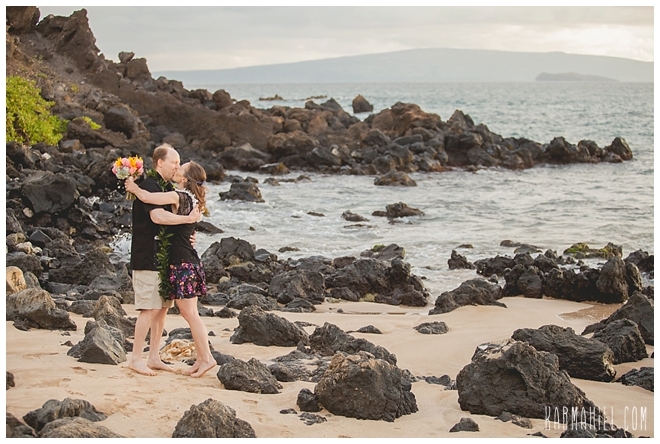 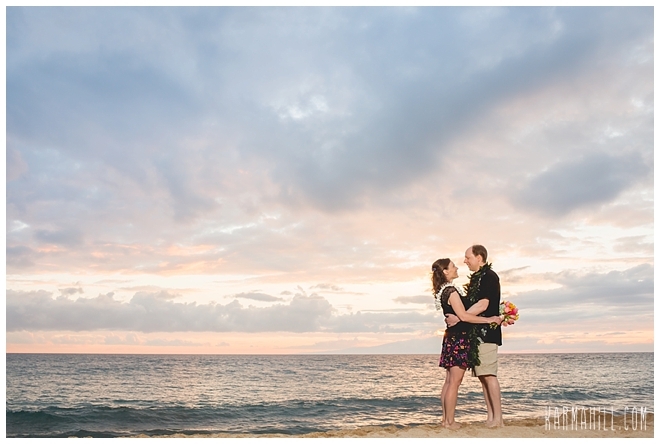 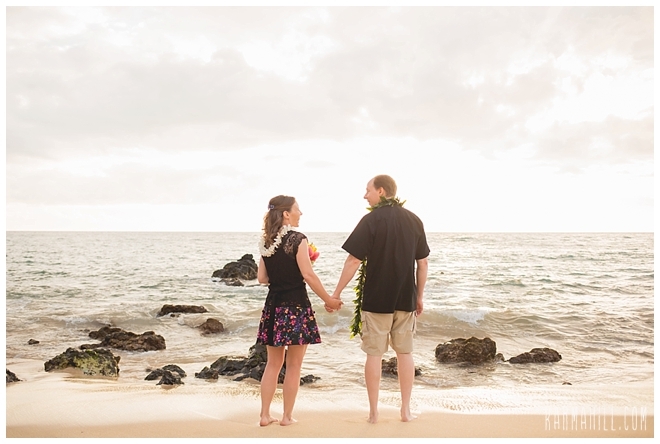 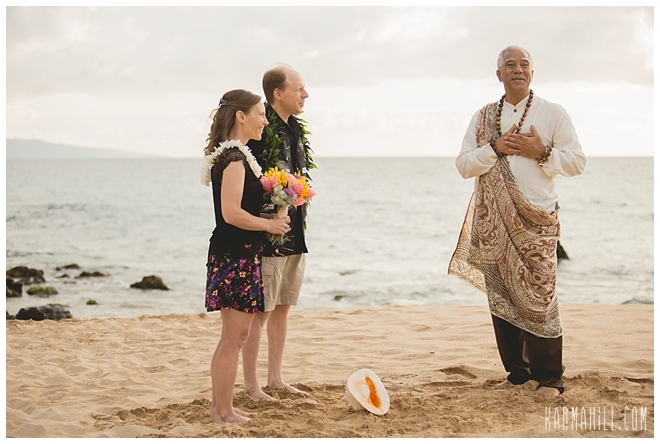 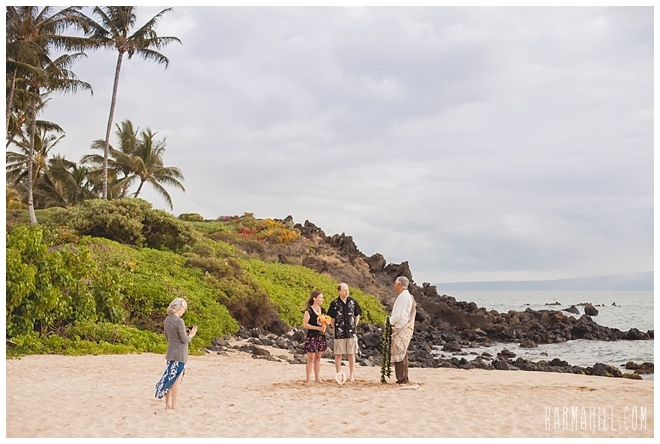 Check out our last Maui Wedding with Jamie & Raymond!